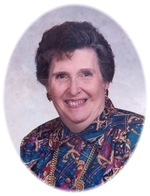 This obituary is protected by copyright by Vondel Smith Mortuary South. Proudly Serving the Communities of Oklahoma City, North Oklahoma City, Yukon, South Oklahoma City, Edmond, Piedmont, El Reno, Mustang, Moore, Norman, Newcastle, Shawnee, Tuttle, Blanchard, and Tri-City Area. Vondel Smith Mortuary South is located in the state of Oklahoma, United States.